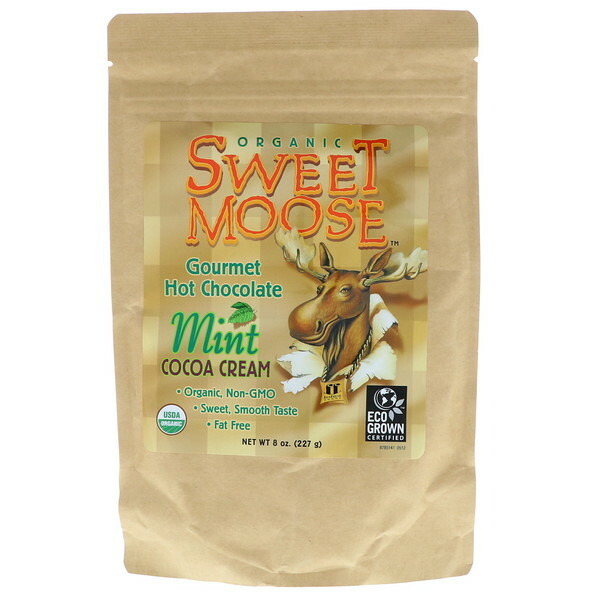 Sweet Moose Hot Chocolate is Certified Organic and EcoGrown. Our EcoGrown logo guarantees that you receive high quality cocoa from farmers that obtain a fair price for their product and take care of the environment. Natural Vanilla and Sea Salt add depth, enhance flavor, and maintain the original character of the cocoa. Why is Sweet Moose Hot Chocolate The Better Choice? 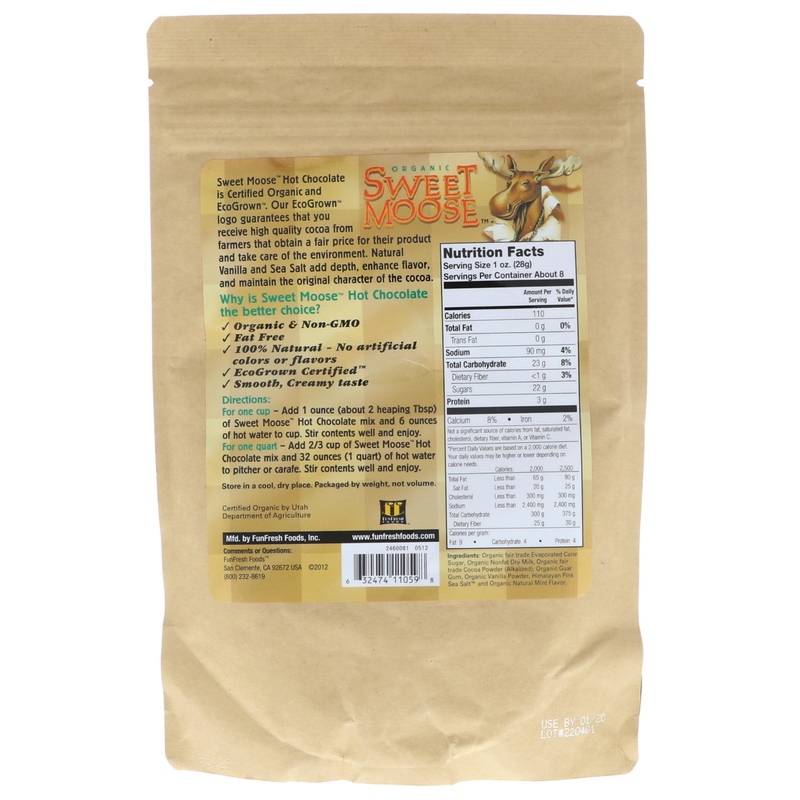 For one cup - Add 1 ounce (about 2 heaping Tbsp) of Sweet Moose Hot Chocolate mix and 6 ounces of hot water to cup. Stir contents will and enjoy. For one quart - Add 2/3 cup of Sweet Moose Hot Chocolate mix and 32 ounces (1 quart) of hot water to pitcher or carafe. Stir contents well and enjoy. Organic fair trade evaporated cane sugar, organic nonfat dry milk, organic fair trade cocoa powder (alkalized), organic guar gum, organic vanilla powder, himalayan pink sea salt and organic natural mint flavor. Store in a cool, dry place. Packaged by weight, not volume. Not a significant source of calories from fat, saturated fat, cholesterol, dietary fiber, vitamin A, or vitamin C.